The final ballot for the 2008 Stoker Awards has been released. Final ballots will be mailed by April 1, and must be returned postmarked no later than May 1. Winners will be announced at the Stoker Award Weekend, June 12-14, 2009 at the Burbank Marriott Hotel, near Los Angeles. For more: http://www.stokers2009.org/. Novel: Coffin County, Gary Braunbeck (Leisure); The Reach, Nate Kenyon (Leisure); Duma Key, Stephen King (Scribner); Johnny Gruesome, Gregory Lamberson (Bad Moon/Medallion). First Novel: Midnight on Mourn Street, Christopher Conlon (Earthling); The Gentling Box, Lisa Mannetti (Dark Hart); Monster Behind the Wheel, Michael McCarty & Mark McLaughlin (Delirium); The Suicide Collectors, David Oppegaard (St. Martin’s); Frozen Blood, Joel A. Sutherland (Lachesis). Long Fiction: The Shallow End of the Pool, Adam-Troy Castro (Creeping Hemlock); Miranda, John R. Little (Bad Moon); Redemption Roadshow, Weston Ochse (Burning Effigy); The Confessions of St. Zach, Gene O’Neill (Bad Moon). 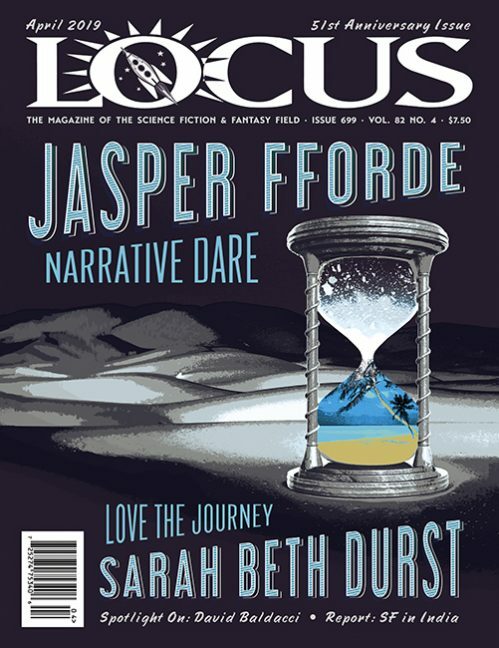 Short Fiction: “Petrified”, Scott Edelman (Desolate Souls); The Lost, Sarah Langan (Cemetery Dance); “The Dude Who Collected Lovecraft”, Nick Mamatas & Tim Pratt (Chizine #36); “Evidence of Love in a Case of Abandonment”, M. Rickert (F&SF 10-11/08); “Turtle”, Lee Thomas (Doorways #4). Fiction Collection: The Number 121 to Pennsylvania, Kealan Patrick Burke (Cemetery Dance); Mama’s Boy and Other Dark Tales, Fran Friel (Apex); Just After Sunset, Stephen King (Scribner); Mr. Gaunt and Other Uneasy Encounters, John Langan (Prime); Gleefully Macabre Tales, Jeff Strand (Delirium). Anthology: Like a Chinese Tattoo, Bill Breedlove, ed. (Dark Arts); Horror Library Volume 3, R.J. Cavender, ed. (Cutting Block); Beneath the Surface, Tim Deal, ed. (Shroud); Unspeakable Horror, Vince A. Liaguno & Chad Helder, eds. (Dark Scribe). Non-Fiction: Cheap Scares, Gregory Lamberson (McFarland); Zombie CSU, Jonathan Maberry (Citadel); A Hallowe’en Anthology, Lisa Morton, ed. (McFarland); The Book of Lists: Horror, Amy Wallace, Del Howison, & Scott Bradley, eds. (HarperCollins). Poetry: The Nightmare Collection, Bruce Boston (Dark Regions); The Phantom World, Gary William Crawford (Sam’s Dot); Virgin of the Apocalypse, Corrine De Winter (Sam’s Dot); Attack of the Two-Headed Poetry Monster, Mark McLaughlin & Michael McCarty (Skullvines).